(Boxford MA) Slip, sliding away. 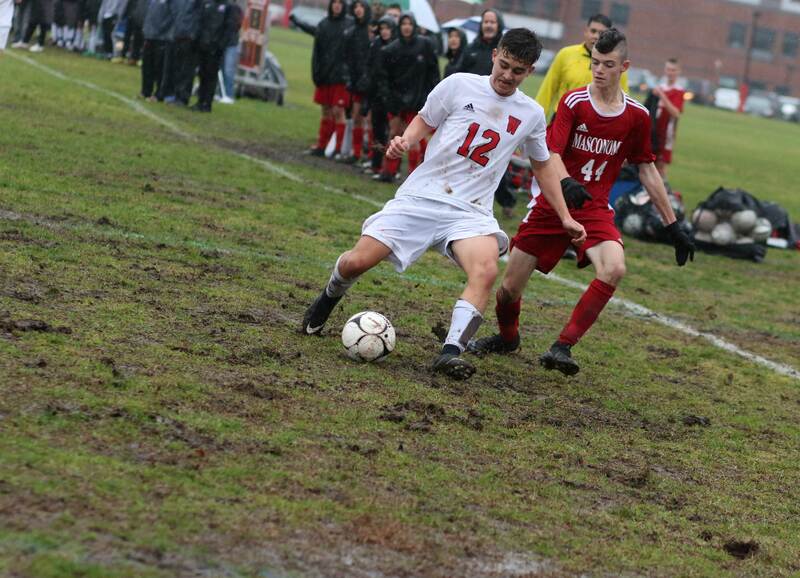 Plenty of bad footing for both teams at Masco this rainy/sloshy afternoon but the Chieftains were used to it. In fact, the #2 seed in Division 2 North chose to play on their grass field when they could have opted for a turf location. 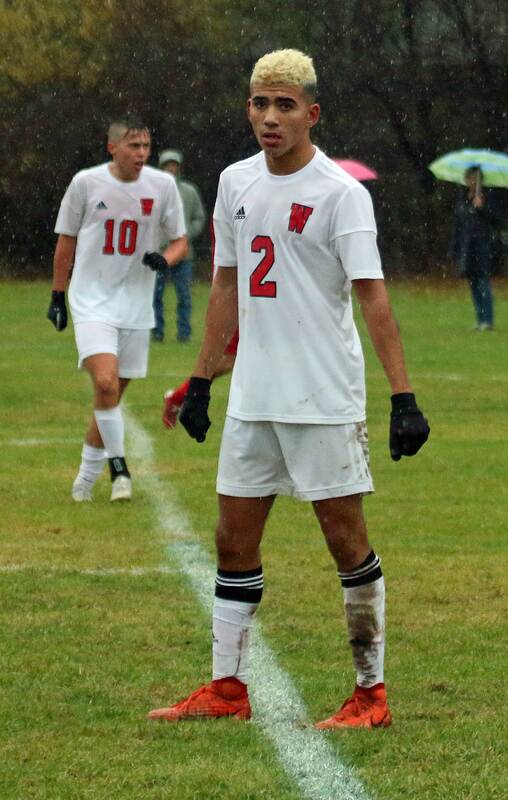 Visiting Winchester was slow to acclimate to the uncertain surface and fell, 4-1, on Tuesday afternoon in the D2 North quarterfinals. 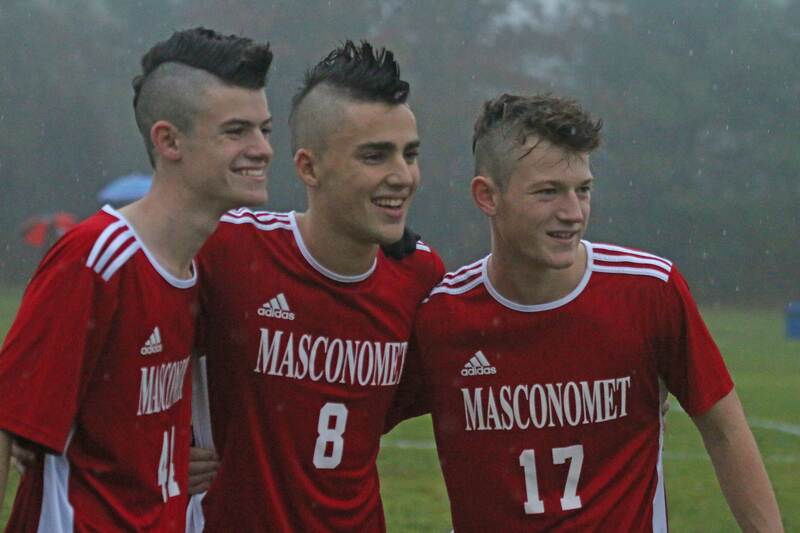 Matt Dzwil, Josh Rubin, Harry Kessel, and Matt O’Brien scored for Masconomet. Aras Kaya tallied for Winchester. Masco will now face #3 Concord-Carlisle on Friday night (6PM) at Woburn High School. 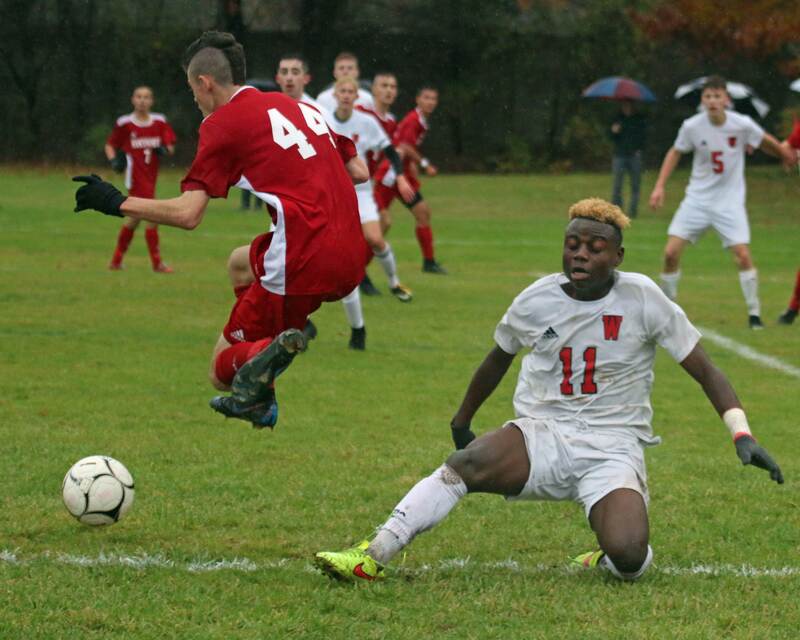 The Chieftains had two goals in the first half as Winchester tried to navigate through the worst of the field’s mud down the other end. Credit Masco goalie Zach Rock. 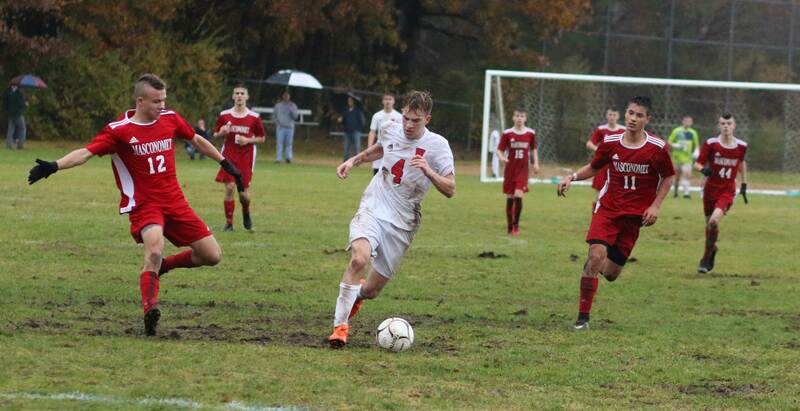 Three times in the final fifteen minutes of the second half the Sachems had golden chances. “We had them on the ropes,” said Coach Musto. Matt Dzwil scored first eighteen minutes into the game. Josh Rubin had a corner kick and the ball caromed back to him. He avoided one defender and put a high shot at the far post. Both Matt Dzwil and teammate Aedan Salvador were on that post, but it was Matt doing the finishing. Eleven minutes later Josh Rubin was in the box with several teammates during a throw in. 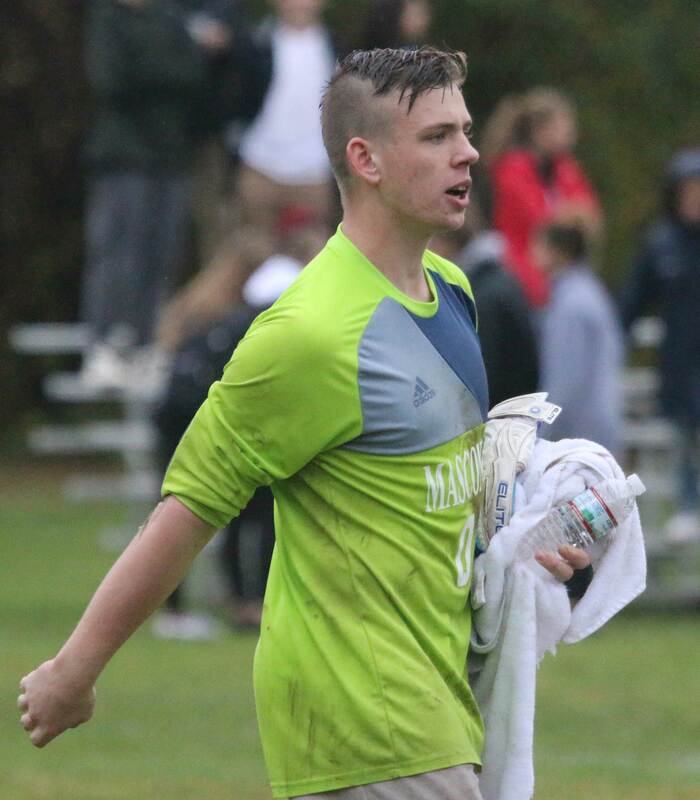 “We crashed the net and I was in the right place at the right time to put it in,” said Josh describing his part in Masco’s second goal. Winchester called a timeout and I heard Coach Musto yell, “They don’t get a third goal!” The team got the message. The Sachems made adjustments at halftime that made them more of a threat to score. “We felt in the second half that a third goal was going to be needed to stun the momentum if they got a first one,” said Coach Scarpaci. Senior Harry Kessel took care of that. Aedan Salvador found Harry to his left uncovered and set him up for a good look twelve minutes into the second half. Harry’s goal put the Chieftains ahead 3-0. Six minutes later the team from the Middlesex League got a goal. It came off a direct kick by Will Hofheinz. Aras Kaya turned that DK into a quick shot to the near side. 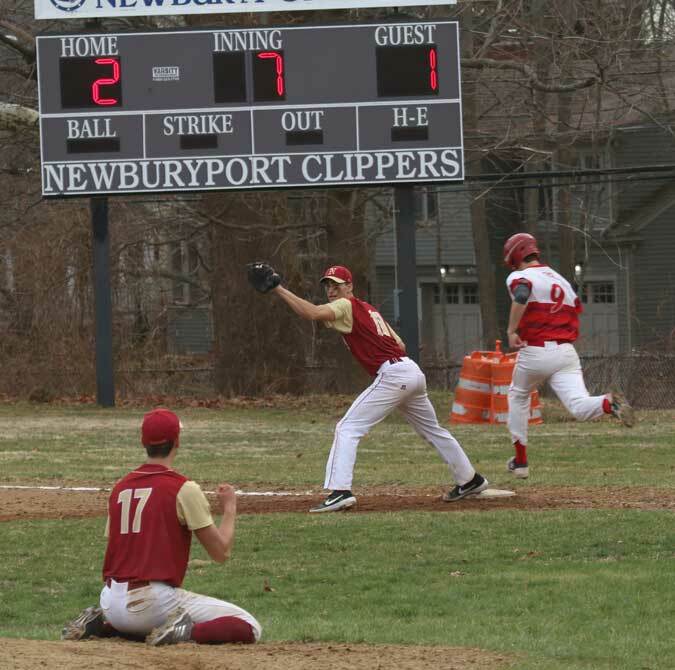 The next ten minutes Winchester knocked at the scoring door several times but GK Zach Rock kept them off the scoreboard. 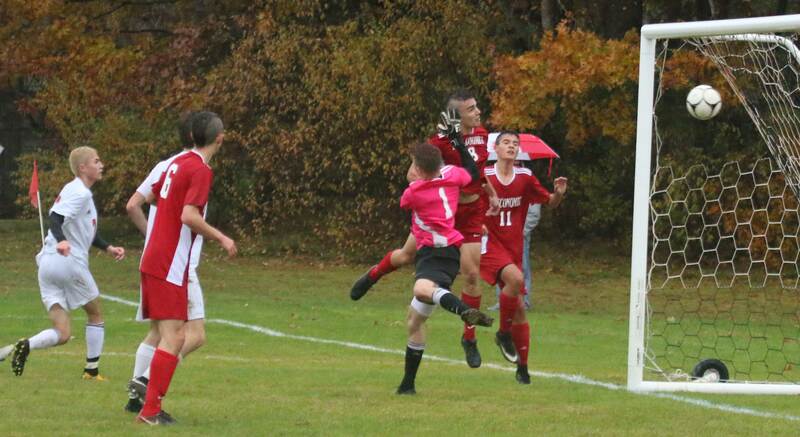 Masco’s 4th goal, scored in the last minute, fortunately didn’t decide the game. 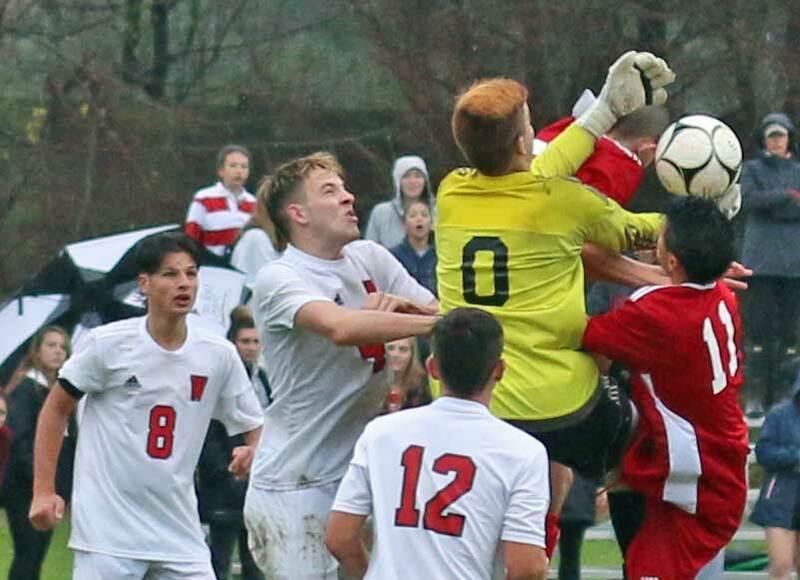 Matt O’Brien sent a 35-yard shot toward Winchester GK Francisco Lara. Looked harmless enough. Francisco came out to catch it on the fly and was victimized by the footing. Down he went, and Matt’s shot sailed into the net. 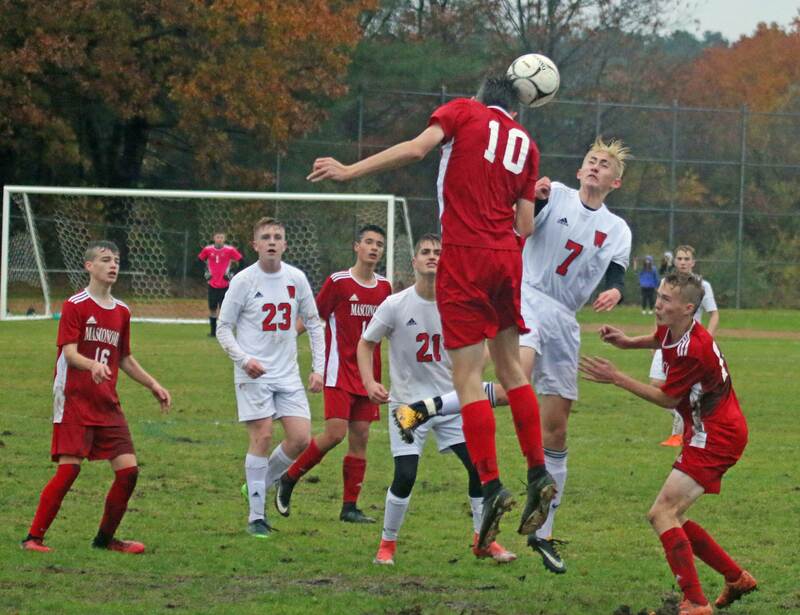 Masconomet (17-2-2) is undefeated in their last seventeen games. They haven’t lost since September 12th. One of the teams they lost to (North Andover) is the #1 seed in D2 North. Those two could meet in the D2 North finals next Monday. The numbers don’t lie. 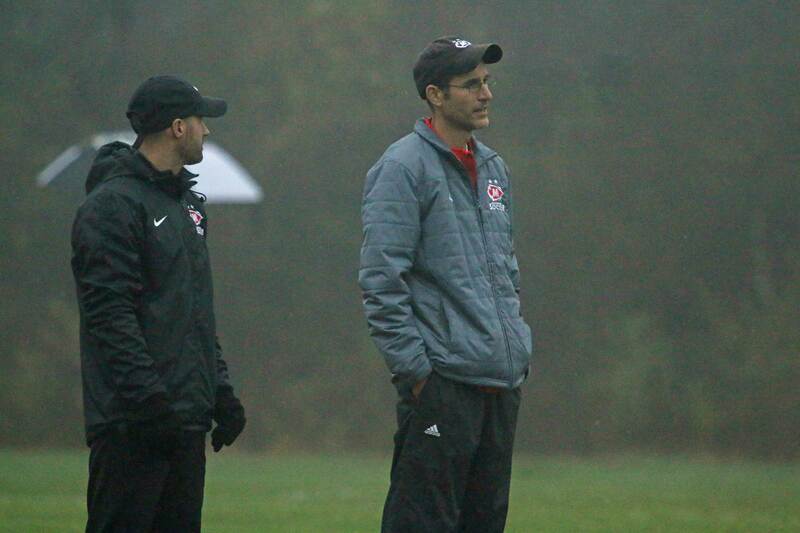 Masco has a very good soccer program. Since 2012, the team from Boxford is 113-16-9. Winchester lost to Masco in the D2 North semifinals in 2016.